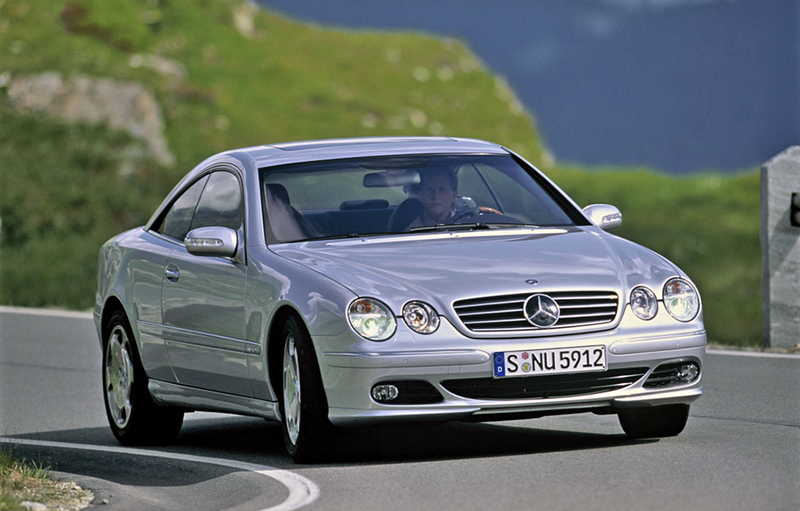 New CL debuts in Geneva 1999: A new generation of S-class coupes debuted at the Geneva Motor Show twenty years ago this month. Any new S-class coupe is a special occasion and the new CL500 – type 215 – generated tremendous interest at the show. This car marked the first appearance of Active Body Control (ABC) in a Mercedes passenger car which electronically reduces body pitch and roll. Deliveries began in Europe in October 1999 and US sales followed in 2000. The new coupe was as lithe as its predecessor – the 140 series – was bulky and weighed almost 600 lbs less than a 1999 CL500. Combining this weight reduction with a wheelbase shortened by 2.5 inches and roof height reduced by the same resulted in a leaner appearance and livelier performance. The new CL-class offered a lean design with slender tapering C pillars. Lovely burlwood and leather complemented the light and airy cabin. Drivetrain upgrades included the normally aspirated CL55 in 1999, the silky smooth six liter V12 in 2000, and the 444 HP CL63 in 2001. CLs of this generation were also available with bi-xenon headlamps, PARKTRONIC, DISTRONIC, and KEYLESS-GO in addition to the extensive standard technical features. Serious power was available in 2003 with the introduction of the CL65 fitted with a twin-turbo V12 that generated a staggering 612 HP. The CL65 was also equipped with an AMG SPEEDSHIFT five-speed automatic transmission with steering wheel gearshift as well as with Active Body Control (ABC) with AMG-specific suspension struts and more firmly tuned dampers. 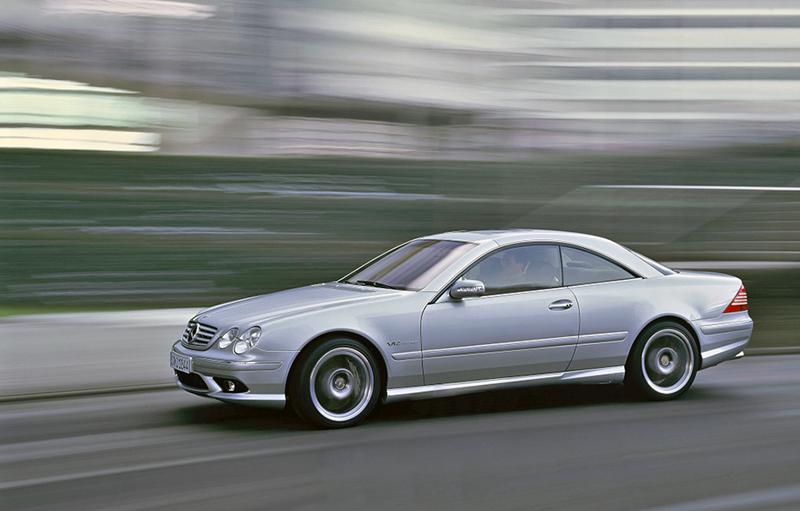 The muscular CL65 arrived in 2003 offered a staggering 612 HP, big brakes and handling aids. A potential future collectible. By the time the 215 series was sundowned in 2006 47,984 CLs had been constructed. The 5 liter V8s were responsible for 32,224 units or fully two-thirds of the production. CL65 production was very low and I should think this could be a future collectible, particularly in view of the impending demise of the V12 within the Mercedes lineup. 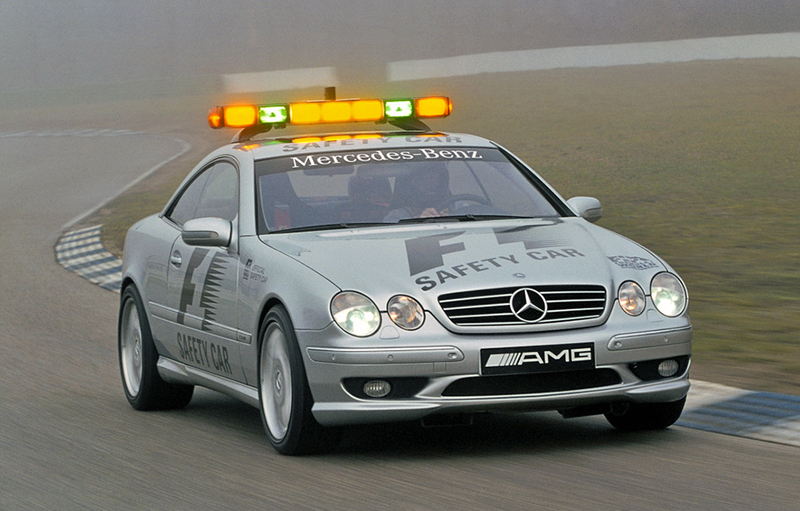 The AMG CL55 was selected as the Safety Car for the 2000 Formula 1 season.